Victoria will have six prospects, from three provinces, compete in Red Deer, AB. 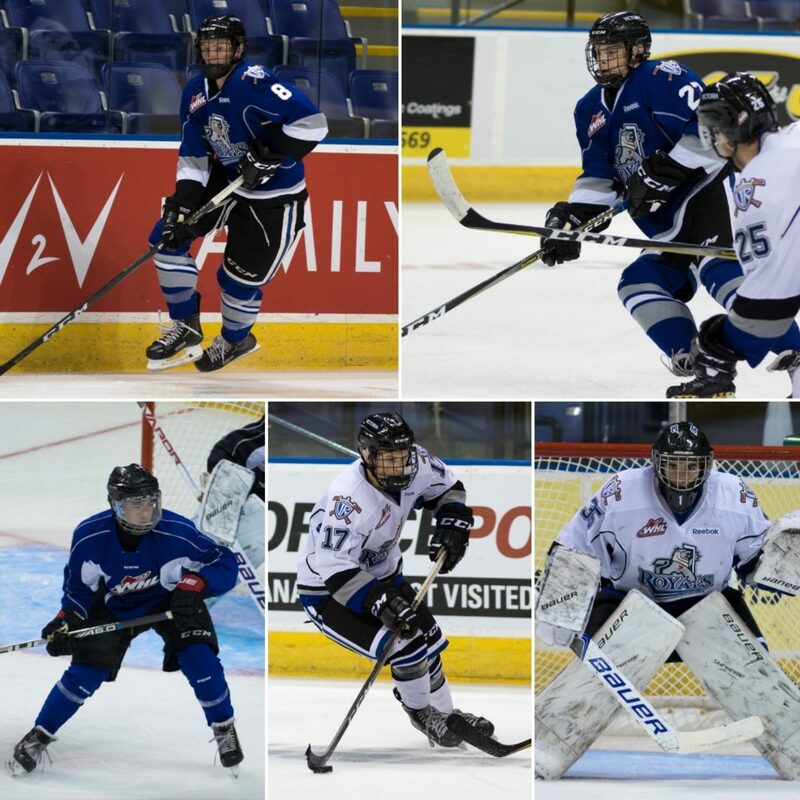 Victoria, BC – The Victoria Royals today announced that prospects Nolan Bentham (Team BC), Matthew Hodson (Team Saskatchewan), Trentyn Crane (Team Manitoba), Cage Newans (Team BC), Keegan Maddocks (Team BC) and Roux Bazin (Team Manitoba) will compete in the upcoming Canada Winter Games. The games will take place in Red Deer, AB and begin on Friday and conclude on Sunday, March 3rd. A product of Victoria, BC, Bentham plays for the Yale Hockey Academy Midget Prep Team of the Canadian Sport School Hockey League (CSSHL). In 32 games for Yale, Bentham has registered seven goals and 11 assists to go along with 22 penalty minutes. The 6-2, 185 lb blueliner was selected by the Royals with the club’s first round, 13th overall pick, in the 2018 WHL Bantam Draft. The forward, who hails from Saskatoon, SK, skates for the Saskatoon Contacts of the Saskatchewan Midget AAA Hockey League. Hodson has recorded 28 points (13g-15a) in 40 games for the Contacts this season. The 5-9, 150 lb centreman was selected by Victoria in the third round, 52nd overall, in the 2018 WHL Bantam Draft. Crane, a 5-8, 165 lb forward, has appeared in 34 games for the Rink Hockey Academy Elite 15’s of the CSSHL and has posted 16 goals and 26 assists along with 36 minutes in penalties. The Morden, MB native was the Royals’ fifth round, 103rd overall selection in the WHL Bantam Draft in 2018. A native of Qualicum Beach, BC, Newans currently plays for the North Island Silvertips of the BC Major Midget Hockey League. In 31 games for the Silvertips, Newans has collected a team high 21 goals to go along with nine assists and 38 penalty minutes. The 5-11, 170 lb winger was drafted by Victoria in the seventh round, 147th overall, in the 2018 WHL Bantam Draft. The 5-11, 154 lb netminder is a member of the Delta Hockey Academy Elite 15’s of the CSSHL. 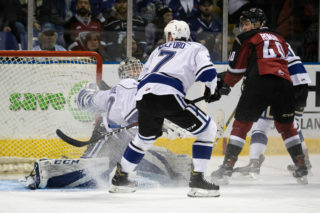 The Langley, BC native has appeared in 16 games for Delta where he has earned a 14-2-0 record to go along with a 1.97 goals against average (GAA), a 0.928 save percentage (SV%) and three shutouts. 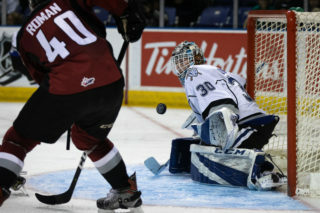 He currently ranks first in the league in GAA, tied for first in shutouts, second in wins and third in SV%. 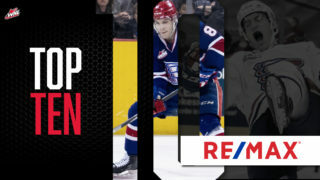 Earlier this season, Maddocks made his WHL debut, in relief, on December 1, 2018. The 15-year-old goaltender was selected by the Royals in the eighth round, 165th overall, in the 2018 WHL Bantam Draft. A Treherne, MB product, Bazin plays for the Pembina Valley Hawks of the Manitoba Midget AAA Hockey League (MMHL). 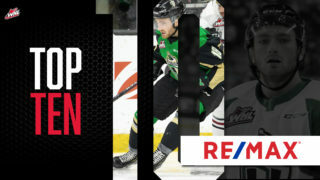 The 15-year-old forward currently leads his team in scoring with 39 points (26g-13a) in 40 games played. The 5-9, 161 lb winger was picked in the eighth round, 170th overall by the Royals in the 2018 WHL Bantam Draft. Victoria are in the midst of a five-game road trip as they play BC Division rivals the Kamloops Blazers tonight at 7:00 p.m. 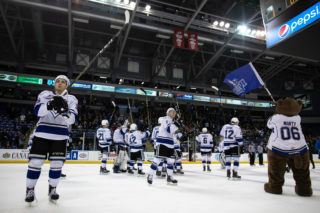 The Royals return home on Monday, February 18th and Tuesday, February 19th when they host the Kelowna Rockets. 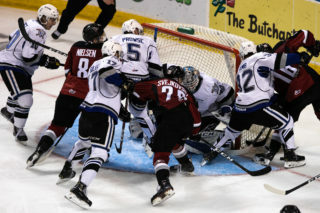 Puck drop for Monday’s Family Day game is at 2:05 p.m., while Tuesday’s game is scheduled for 7:05 p.m. Tickets can be purchased in person at the Select Your Tickets box office, over the phone by calling 250-220-7777, or online at www.selectyourtickets.com.